Channel 18 WJTS Jasper will be airing several specials about the Celestine 175. 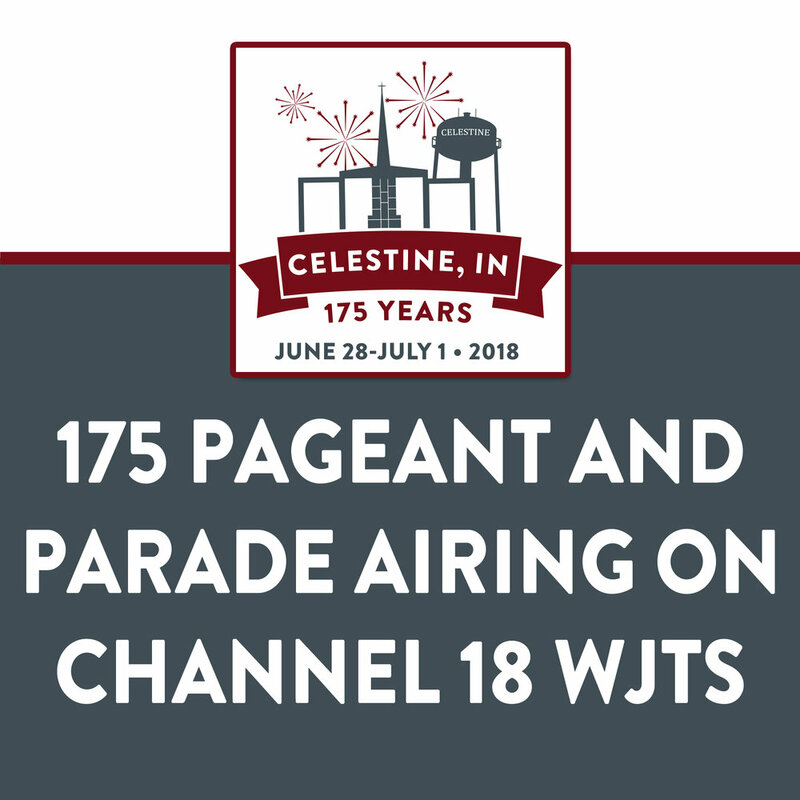 The Celestine Indiana 175th Queen, Junior Miss, Little Miss, Little Mister and Senior King & Queen Pageants will air on Thursday, July 5th at 8:00pm and again on Sunday, July 8th at 1:00pm. The Celestine Sunday Day Parade will air on Friday, July 6th at 8:00pm and again on Sunday, July 8th at 2:00pm or 2:30pm.